For today’s busy corporate executive, and for those individuals who simply wish to enjoy the best that life has to offer, private aviation offers the pinnacle of convenience and luxury when traveling. Whether flying for business or pleasure, our comprehensive concierge services are designed to offer you the maximum comfort at the best available price. You may already know about the wide range of in-flight entertainment and gourmet catering options that we can provide to our traveling clients. But did you know that Stratos Jets can also provide you with personal security during your flight if you require it? To begin with, we only work in partnership with discrete aircraft operators, who will always ensure your privacy is protected, giving you anonymity and peace of mind when you travel with us. And when jet charter security and safety are critical, we offer a full array of personal security services. We can provide both unarmed and armed personal body guards to accompany you during your charter flight for your protection. When necessary we can also provide cargo transportation security that will accompany your precious cargo from a secure point A to secure point B. We can even arrange for an armored car if the need arises! For those who simply require extra privacy, our agents can coordinate luxury ground transportation ready and waiting for you and your party on the tarmac when you arrive at your destination. 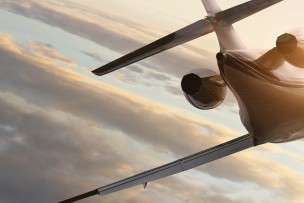 The bottom line, if the security, personal safety and privacy of you and your traveling companions are top priorities during your charter jet travel, rest assured that Stratos Jet Charters can provide some of the most comprehensive security measures available in the private jet charter industry. To learn more about the safety and security services that we can offer you, or any other concierge services that you may desire, please contact one of our air charter experts today. 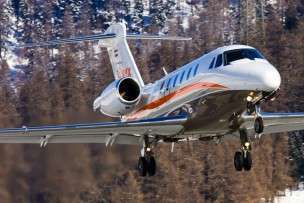 Our expert air charter representatives are available to you 24 hours a day, 7 days a week, and can arrange your next flight with as little as four hours notice.